Good things come when least expected, and for William McKenna a 53-year-old farmer from Kilcreggan this statement rings particularly true. He lived his entire life in this village close to Helensburgh and frequently played the lottery, but until now he never won more than £10. 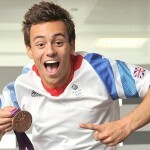 Things changed dramatically last Wednesday, when William discovered that he had won £1,187,959. This life-changing experience surely made him a happy man, but despite the overwhelming joy he is surprisingly grounded. 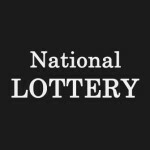 Mr McKenna has been purchasing lottery tickets every week from the same shop, but he never expected or counted on these tickets to change his life. This is why he was doing his routine at 9 AM feeding the animals, when he took a break to check out the lottery results. He read in the paper that the exact six numbers he chose and the bonus ball were drawn a day before, and he couldn’t believe his eyes. 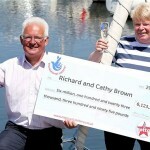 Luckily his wife Allison was nearby and she confirmed the fact that they were £1 million richer. To make sure that he is not dreaming or mistaking, Williams rushed to the local shop where he purchased the ticket and kindly asked the shop assistant to check it out. 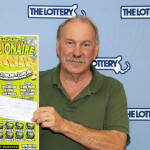 The machine confirmed that he was the latest millionaire in Scotland, and now Mr. McKenna can finally start fulfilling his dreams. Since he has been living the entire life in a council house, William and his wife said that the first thing they would buy would be a new home. It is something that most lottery winners do, but in this case the lucky ones said that they have no intention in purchasing anything grand. For someone who won nothing more than an Easter egg in the palm during the charity event, this huge jackpot is definitely going to be a life-changing prize. After they move into the new home, the couple intends to travel a bit and in order to do so Mr. McKenna will renew his passport. He said that this is the thing that he postponed for too long, since it expired 22 years ago but he didn’t bother to renew it given the fact that there were no prospects for traveling. When asked about buying a new car, the answer was firm because William is perfectly happy with his Toyota Yaris that has recently passed its MOT. Despite being in a position from where he could afford any car in the world, he says that as long as his Toyota is working so well there is no point in replacing it. One change that the couple considers is relocating to Balloch, where Alison grew up, because they think that it wouldn’t hurt to change the scenery a bit.